Planning a hot date for Valentines day? 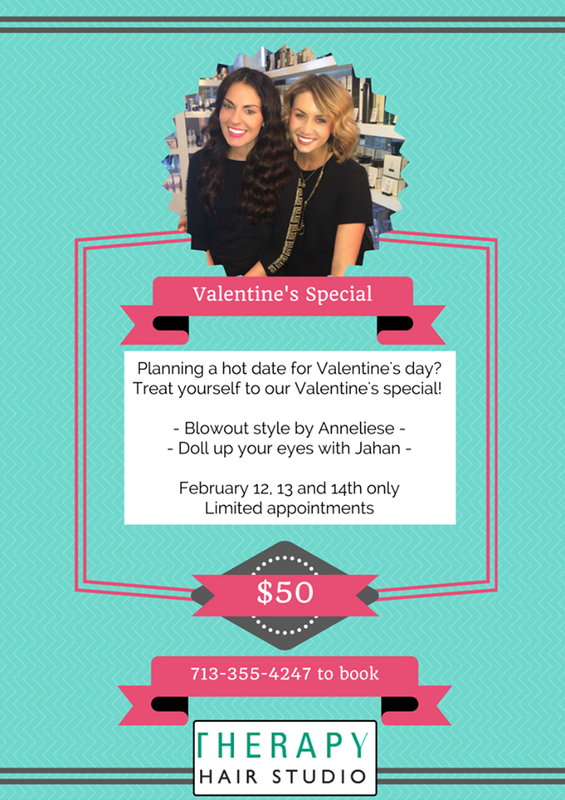 Treat yourself to our Valentine’s special – Blowout style by Anneliese and let our resident makeup artist Jahan beautify your eyes. February 12, 13 and 14 only. Limited appointments. Call (713) 355-4247 to book.